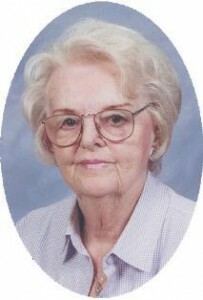 Rose E. Ansay, 88, of Maple Crest, formerly of Monroe Street, died peacefully at her residence on September 18, 2004. She was born to John and Magdalena Kolbach Jacque on September 30, 1915 in Port Washington, Wisconsin. She met Robert H. Ansay of Port Washington and they were married April 18, 1936 in Port Washington. They farmed until 1965. They lived on Monroe Street and Rose worked for the former Sprague Electric in Grafton. Later she was the head cook at the former St. Alphonsus Hospital in Port Washington. Her husband Robert preceded her in death January 1, 1984. Her life was filled with family and friends. She loved bowling, playing cards, socializing with her friends and being with her family. One of her greatest joys was when her first great grandchild, Michaela Rose, was named after her. She had a good life and found the good in everyone around her. She will be missed. She is survived by her children Joyce (James) Buchholz of Belgium and Dennis (Gabrielle) Ansay of Port Washington, grandchildren Tim & Kelly Buchholz, Chad (Christa) Buchholz, Eric Ansay, Christina Ansay, Monica Ansay and Mark Ansay. Further Survived by Great Grandchildren Dani and James Schroeder, Claudia, Michaela Rose and CJ Buchholz, other relatives and friends. Preceded by two sons Daniel Oliver and Willard and two brothers Harry & Raymond. Fr. Michael Dineen will celebrate Mass 7 pm Wednesday, at St. Peter of Alcantara Church, Port Washington. Interment parish cemetery. Visitation after 4 pm Wednesday at the funeral home with a 4 pm rosary service.